The road from Kakodiki continues south to Paleochora on the Libyan Sea. Paleochora is 77km from Chania on the road Chania - Tavronitis - Voukolies - Kandanos - Paleochora. 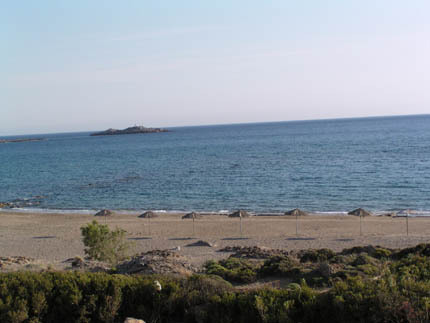 It is very near the southwest tip of Crete. 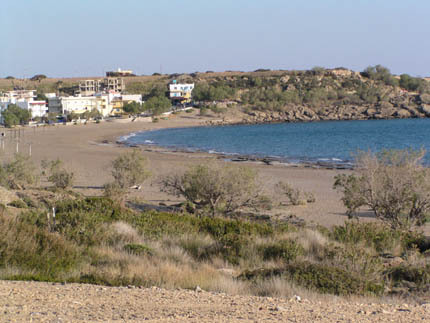 The town of Paleochora is behind the castle on a small peninsula. There are also many Byzantine churches in the area.